Coastal Bend Retriever Club of Texas, Inc. 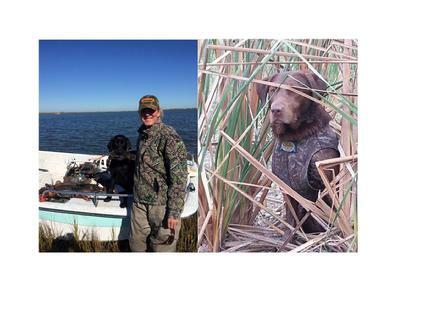 The Coastal Bend Retriever Club of Texas was formed in the spring of 1999 in Rockport, Texas. While the Coastal Bend is well known for its great duck hunting and white-winged dove hunting there was no organized retriever group. Thus, the club was formed to bring retriever enthusiasts together to share ideas and improve their dogs. Most of our events and meetings focus around the Corpus Christi/Rockport area. The club is approved to hold AKC Licensed Field Trials and Hunt Tests. In addition the club holds "fun days" for members to exhibit their dogs in various forms and training clinics. Please see the events calendar for any upcoming events. If you are interested in joining or would like more information please contact Lauren Haynes at cbrcsecretary@hotmail.com . Below is a membership application. Membership is open to persons over 18 who are in good standing with AKC. Residence is unrestricted. Once the membership form is received by the Secretary it is then subject to approval by the Board of Directors and are subject to ratification by the members. Prospective members will be notified of approval. We expect the breeding of Fisher and Mae to produce pups that are very sensitive, easy to train and handle, yet love birds and hunting. Both parent dogs are very nice and easy dogs to live with and are good around people, kids, and other dogs. Mae and Fisher are great hunters and can back up their talent with their field trial and hunt test accomplishments in addition to being great family dogs. The puppies are Chocolate and Yellow Factored. Fisher is a NAFC FC Hook son out of a Pirate female and Mae has a stacked pedigree and is out of FC Salty Paws Hammerin Hank and QAA Patton female who has AA points. Tim Springer of Dynamic Retrievers, who trained Mae, said she had a lot of potential past JA (QAA minimum) but we just did not have the resources to continue her training. Mae OFA Hips LR-218705F27F-PI Elbows LR-EL71181F27-PI eyes LR-Eye 10299/28F-VPI. Fisher Hips LR-197041G24M-VPI elbows LR-EL59587M41 Eyes LR-EYE1753/41M-VPI. Fisher is EIC, CNMA PRA clear. Contact Nicole at 832-259-8075 or Lanny 210-414-5460 for more information. Club Classified Ads: This page is dedicated to ads for puppies, dogs, equipment, services, etc.. Fees for ads are as follows: CBRC members: $5.00/ad, non-members: $10.00/ad. Retriever Training: Tim Springer at Dynamic Retrievers. www.dynamicretrievers.com or Tim.Springer@dynamicretrievers.com Trains in Rockport Nov.-April, and Hugo, MN May-Oct. Copyright 1999-2017 Coastal Bend Retriever Club of Texas, Inc.